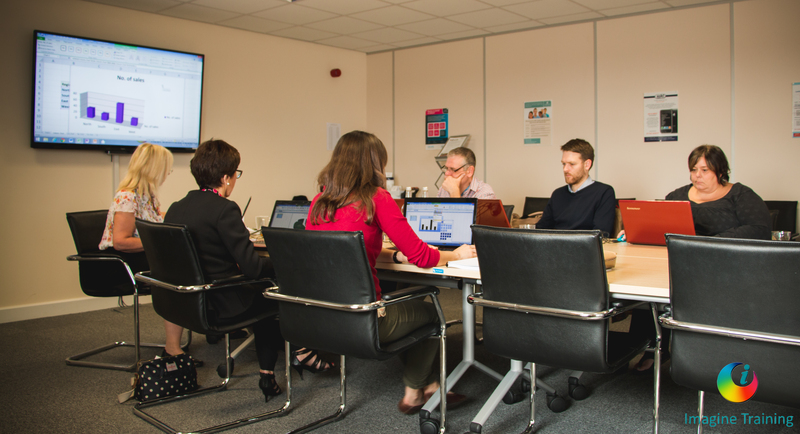 If you are organising training for your team and would like more information call us on 01952 581550. 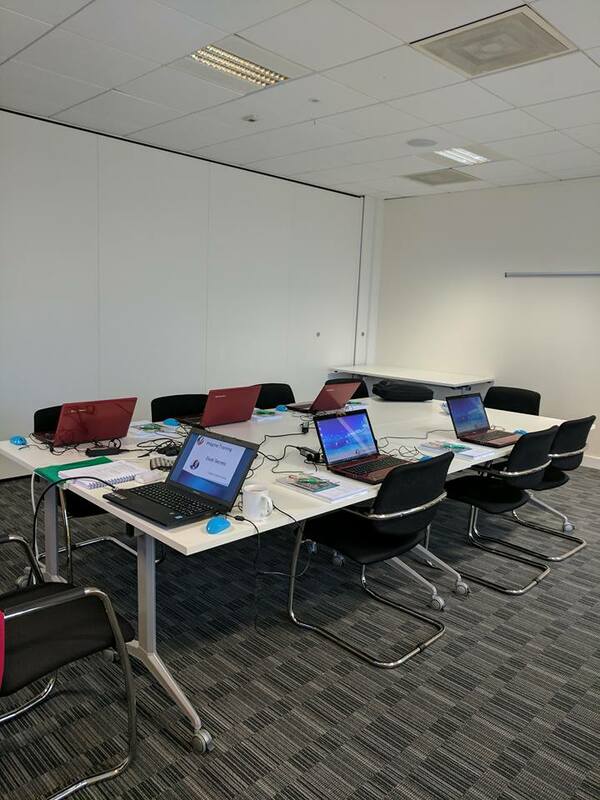 We deliver classroom training both at our public training venues and at your site if you have a suitable room. Most people are amazed at very practical things they can easily do that they never knew existed! 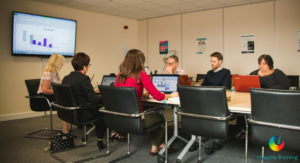 Here’s some examples of our onsite training rooms. 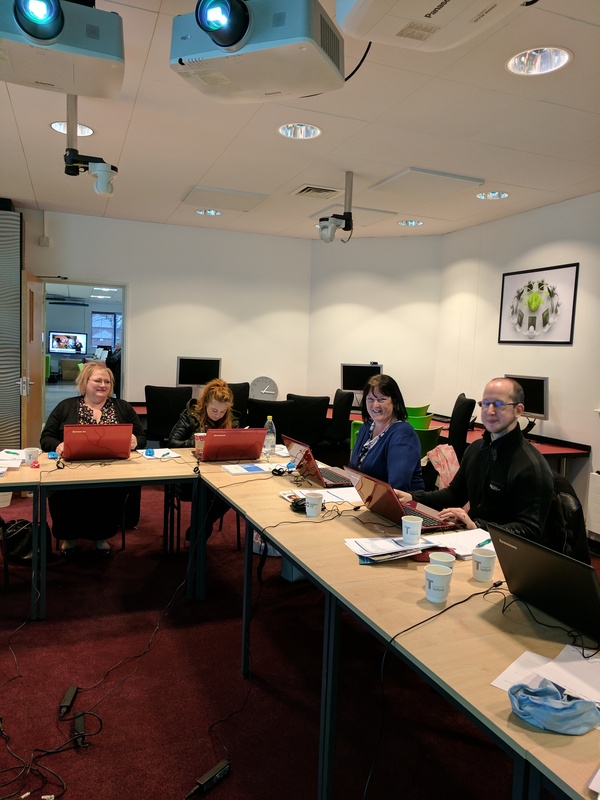 This group learnt Microsoft PowerPoint and how to use Microsoft OneNote to keep all the creative notes and ideas safe until they’re used. 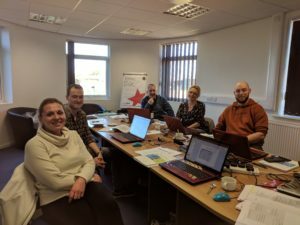 This group really gained a lot from their Excel training shaving hours of every week’s work. 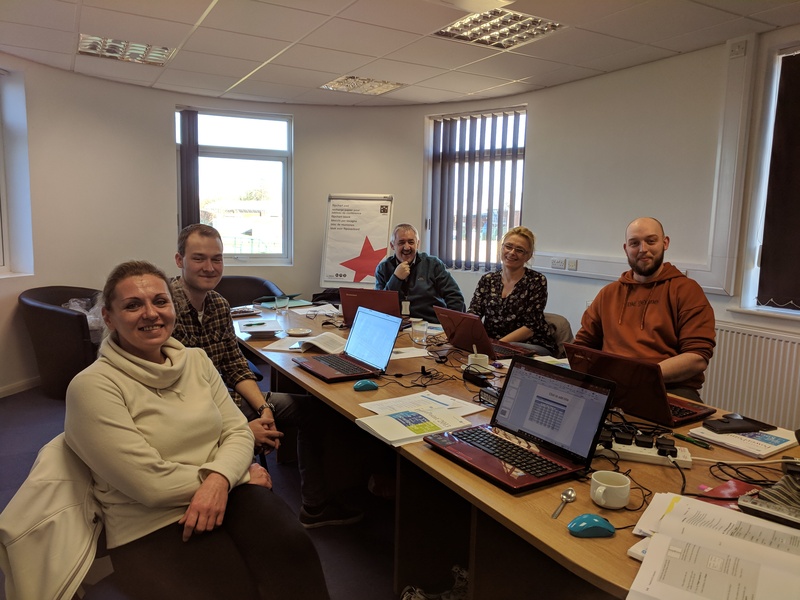 Group on a public course from various companies learning Excel skills in The Marches Growth Hub. Microsoft Word is capable of more than you think! "The course was very enjoyable, and I felt it was extremely relevant to my job. I have learnt my way around a computer and all about tables and sketches. I would definitely recommend it." 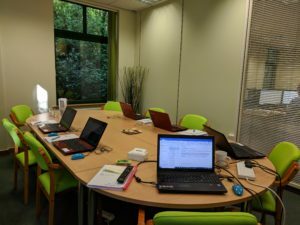 "Great experience, good terminology, helpful not only on work or business but even on private life or personal development. The trainer has a good knowledge of the subject and passed all the passion and interest on to the students. Thanks for the opportunity to learn more about a program that we use a lot, but especially to develop personal skills for the future. " 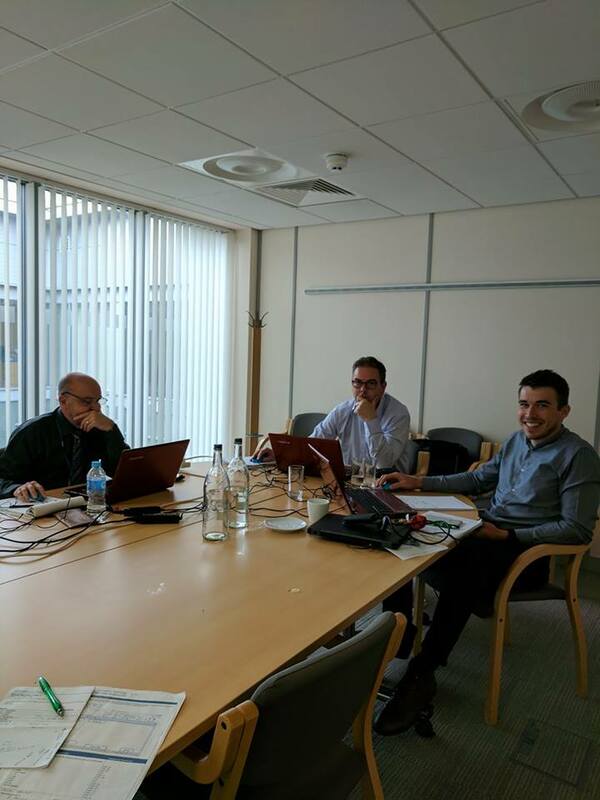 "Really enjoyed learning about BI within Excel. 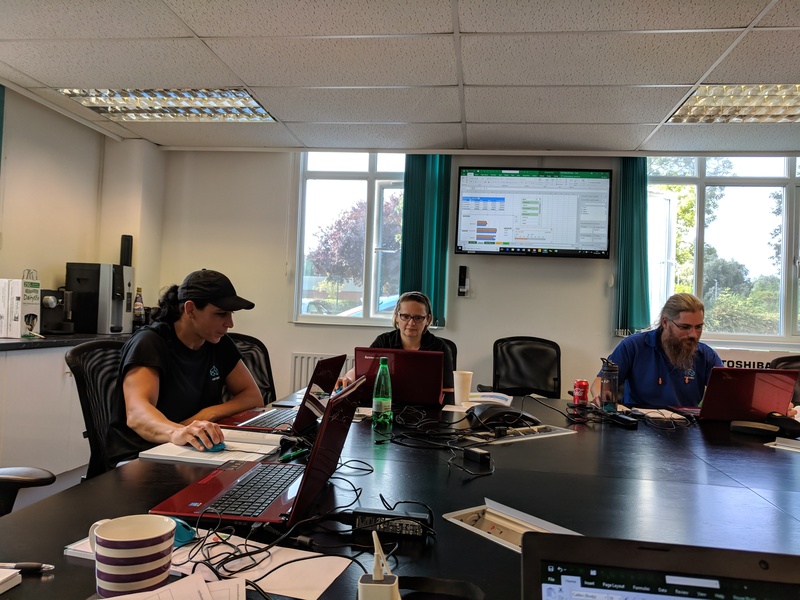 The ability to create visualisations and videos of data is something I will look to use in the future for presenting data." "I would recommend this course to other admin, payroll and HR staff at site as it will speed their working processes." "I would encourage any employees within the business who use Excel to do this training. 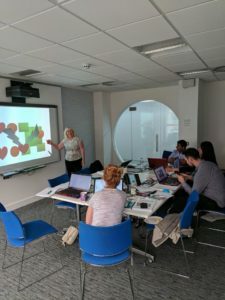 I learnt how to create formulas when generating spreadsheets, charts and data that are user friendly and easy when doing presentations and lots of short cuts!" "The course gives a very good insight with great instructions on a varied amount of topics. There are a lot of areas I was unaware of and could make good use of. 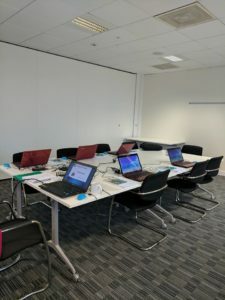 I would definately recommend the course to others, even if it is just for the little tips and tricks, there were quite a few quicker ways to do things I was unaware of"
"Really useful course, opens up more about Word from normal day to day usage." "The training was at a slow enough pace to understand each subject but covered a large amount of information. If someone was not that familiar with excel, then it would be an excellent course to start with."